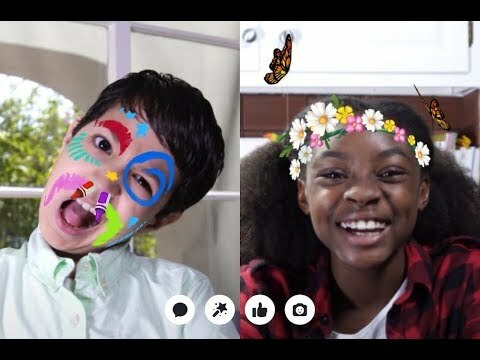 Messenger Kids is a free video calling and messaging app designed for kids to connect with close friends and family from their tablet or smartphone. Kids can only connect with parent-approved contacts, which creates a more controlled environment. Group or one-on-one video calls with loved ones are more fun with interactive masks, reactions and sound effects. Facebook Messenger Kids was added by IanDorfman in Dec 2017 and the latest update was made in Jun 2018. The list of alternatives was updated Apr 2019 There is a history of all activites on Facebook Messenger Kids in our Activity Log. It's possible to update the information on Facebook Messenger Kids or report it as discontinued, duplicated or spam. Monster Messenger is the messenger kids and their families have been waiting for: simple, safe & fun!. Discontinued Monster Messenger stops operating the 31 of August 2018, as no investor wanted to invest capital in the venture. Alternatives to Facebook Messenger Kids for Android, Web, iPhone, iPad, Windows and more. Filter by license to discover only free or Open Source alternatives. This list contains a total of 17 apps similar to Facebook Messenger Kids. No reviews yet for Facebook Messenger Kids, want to be first? Maybe you want to be the first to submit a comment about Facebook Messenger Kids? Just click the button up to your right!